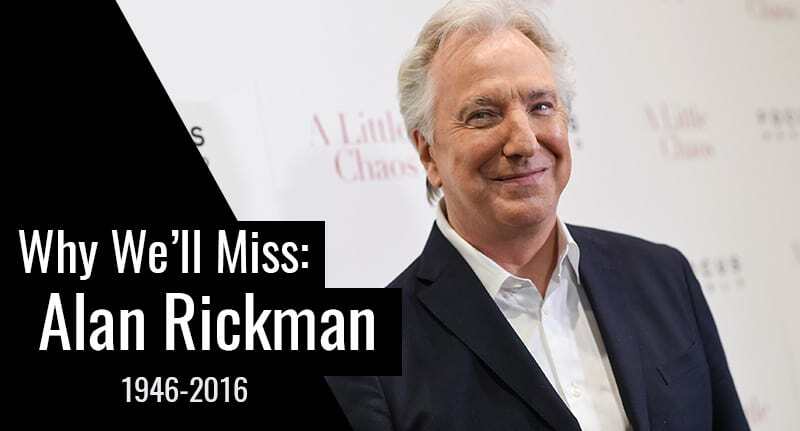 2016’s been something of a rough year for celebrity deaths and while all of these deaths are a tragedy the death of Alan Rickman at the start of the year is the one that reverberates most for me. I first became aware of Alan Rickman as a young kid when watching Kevin Kostner’s Robin Hood and while my friends and family at the time all loved the swashbuckling Robin, I preferred the dark wit of Rickman’s Sheriff of Nottingham. 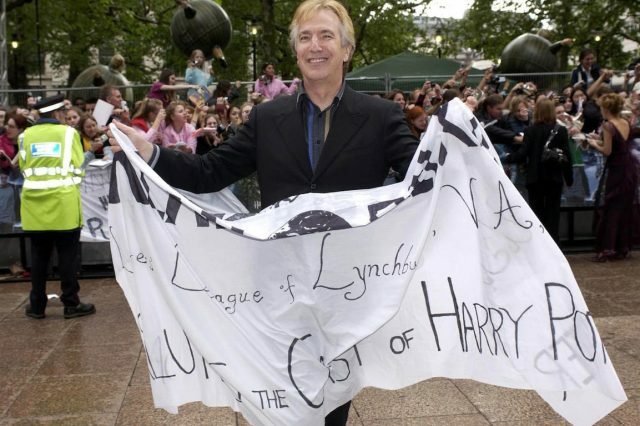 From the moment I first saw him prowling about in his all black cape I was hooked and over the years I’ve gone out of my way to watch almost everything Rickman did, even Love Actually for my sins. 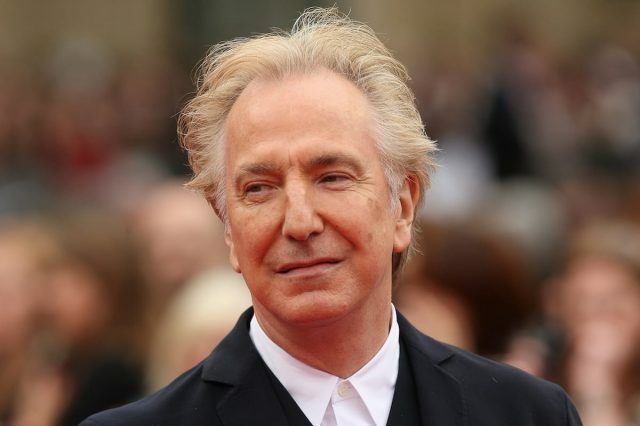 By the time I became aware of him Rickman had already established himself as an acting ‘tour de force’, working with the Royal Shakespeare Company in the 1980s and on the silver screen as the German terrorist, come gentleman thief, Hans Gruber in Die Hard in 1988. It was the role of the Sheriff that propelled him to international stardom however, leading to bigger roles and higher billings in movies such asAng Lee’s version of Jane Austen’s Sense and Sensibility where played Colonel Brandon and Michael Collins. Of course for those of a certain generation, myself included, Mr Rickman will forever be J.K. Rowling’s cruel potion’s master, a role he made his own but also one he very nearly didn’t take until Rowling revealed there was a bit more to Snape than met the eye. Mr Rickman wasn’t just an actor and director though, he worked tirelessly as the vice-chairman of RADA, was a patron of the charity Saving Faces, dedicated to helping those with facial disfigurements and cancer, and was the honorary president of the International Performers Aid Trust, which works to alleviate poverty around the world. Alan married his childhood sweetheart and partner of 50 years Rima in 2012, she survives him, as do his siblings, David, Michael and Sheila. Alan Sidney Patrick Rickman, actor, born 21 February 1946; died 14 January 2016.